The Gunfight at the O.K. 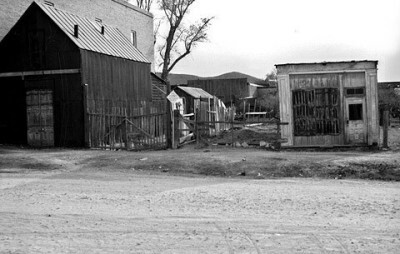 Corral was a 30-second gunfight between the semi-outlaw group the Cowboys, and lawmen, that is generally regarded as the most famous shootout in the history of the American Wild West. In 1881, the Earp brothers face off against the Clanton-McLaury gang in a legendary shootout at the OK Corral in Tombstone, Arizona. 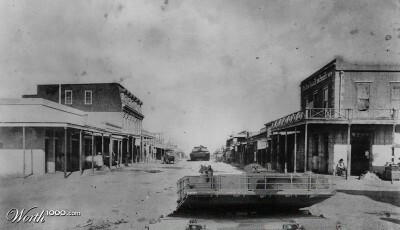 After silver was discovered nearby in 1877, Tombstone quickly grew into one of the richest mining towns in the Southwest. 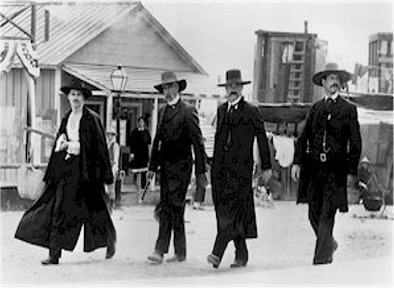 Wyatt Earp, a former Kansas police officer working as a bank security guard, and his brothers, Morgan, and Virgil, the town marshal, represented “law and order” in Tombstone though they also had reputations as being power-hungry and ruthless. The Clantons and McLaurys were cowboys who lived on a ranch outside of town and sidelined as cattle rustlers, thieves, and murderers. 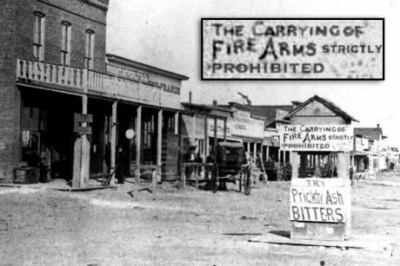 In October 1881, the struggle between these two groups for control of Tombstone and Cochise County ended in a blaze of gunfire at the OK Corral. 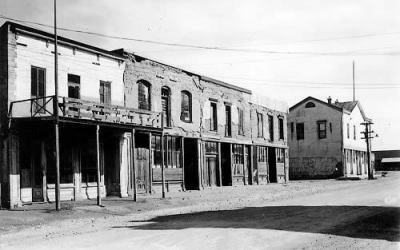 Around 3 p.m., the Earps and Holliday spotted the five members of the Clanton-McLaury gang in a vacant lot behind the OK Corral, at the end of Fremont Street. The famous gunfight that ensued lasted all of 30 seconds, and around 30 shots were fired. Though it’s still debated who fired the first shot, most reports say that the shootout began when Virgil Earp pulled out his revolver and shot Billy Clanton point-blank in the chest while Doc Holliday fired a shotgun blast at Tom McLaury’s chest. Though Wyatt Earp wounded Frank McLaury with a shot in the stomach, Frank managed to get off a few shots befor e collapsing, as did Billy Clanton. When the dust cleared, Billy Clanton and the McLaury brothers were dead, and Virgil and Morgan Earp and Doc Holliday were wounded. Ike Clanton and Claiborne had run for the hills. 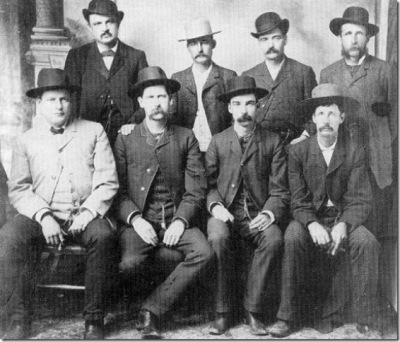 The question of which side actually drew their guns first is still debated today, but it's believed that Virgil Earp pulled out his revolver and shot Billy Clanton in the chest at point-blank range while Doc Holliday killed Tom McLaury with a blast from his double-barreled shotgun. Wyatt Earp shot Frank McLaury in the stomach, and the wounded man staggered out into the street but managed to pull his gun and return fire. Meanwhile, Ike Clanton and Billy Claiborne ran for their lives. The wounded Frank McLaury and Billy Clanton both managed to get off several shots before collapsing, and Virgil, Morgan, and Doc were all hit. But when the 30-second gunfight was over, there was no doubt which side had triumphed: the Earps were bloodied but alive, while Billy Clanton and Tom and Frank McLaury were dead or dying. Sheriff Behan who witnessed the entire shoot-out.